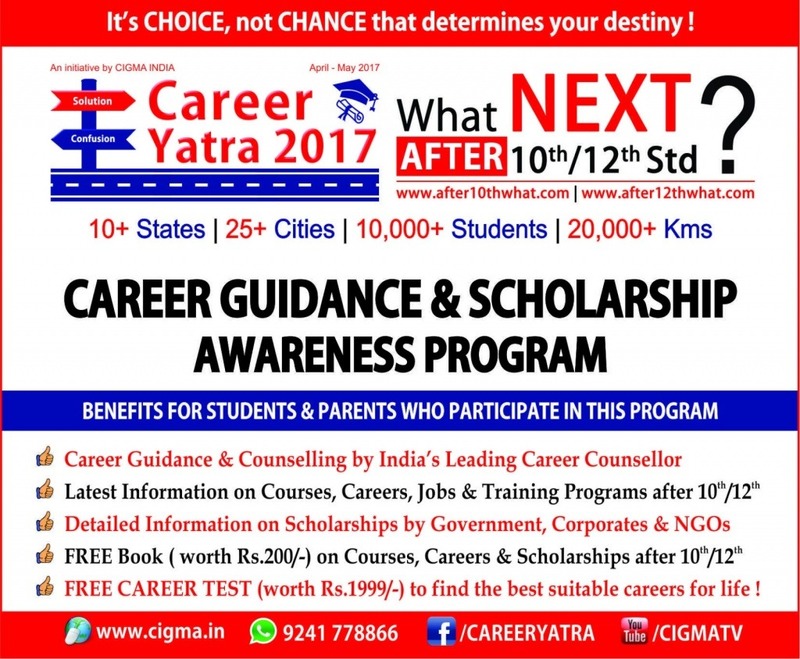 Thank you %NAME% for Registration CAREER YATRA 2017. The programs will be held at Public Seminar Hall / Auditorium in the District Head Quarters for students passing 10th and 12th Exams in 2017 & parents. 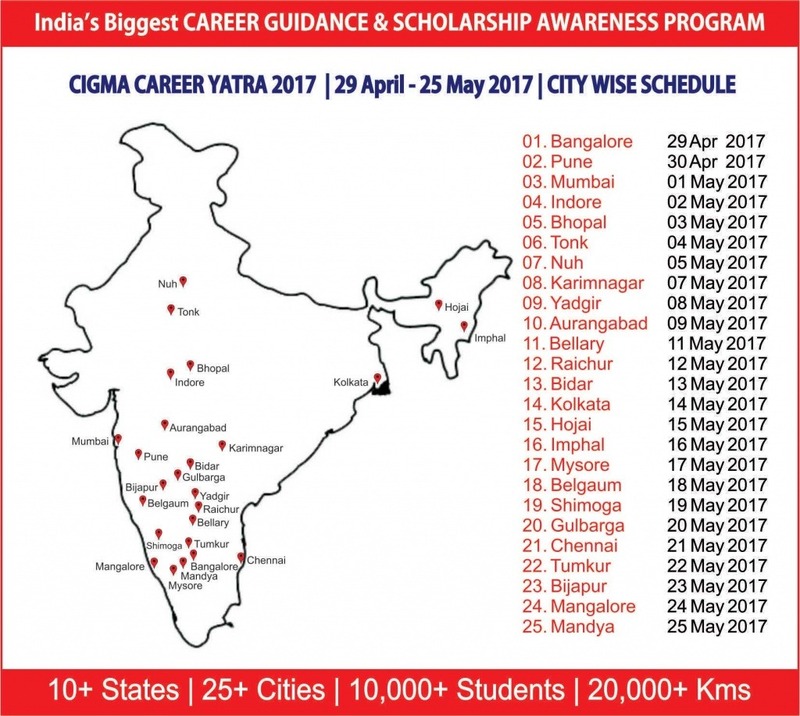 The focus of the program is to create awareness about hundreds of Courses and Careers available for students after 10th & 12th the Scholarships available for Higher Education in India. Responsible for partnering with NGOs, Scheduling Programs, Getting Sponsorship, Creating & Printing Promotion Material, Printing Career HandBook, Travelling across India and Conducting the Program in 25+ Cities. Students appeared for 10th / 11th / 12th Exams in 2017 and their Parents. 10+ States & 25+ Cities of India. Address: ShikshakaraSadan, Opposite to Cauvery Bhavan, K.G.Road, Bangalore-560009. “Sidra Trust ( R ) Social Welfare & Educational Chartable Trust.